Throw-blankets…These warm, cuddly items can be used at home, the office, or even as gifts. Especially among people who feel cold easily, these handy items can be used while working, watching tv, even for long (or short) car rides!! 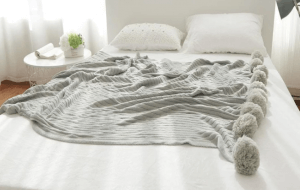 In this post, we will explore the throw-blanket world, looking at popular throw-blankets. We will explain the different types available online as well as which type of throw-blanket is suitable to which person or situation. So, throw a throw-blanket around your lap and snuggle into the cuddly world of throw-blankets!! There are many types of throw-blankets. With blanket-like throw-blankets to handmade, cute ones, etc. and different materials such as wool, cotton, microfiber, etc., it’s so confusing to choose the one perfect for you, isn’t it? Today we will introduce the purchasing points to consider for throw-blankets. Read on to see which points suit you and which are not a priority for you. 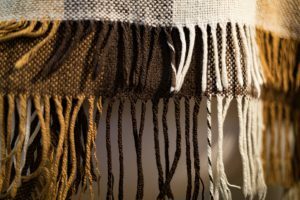 How is a Throw-Blanket different from a Blanket? A blanket is used to protect the body from the cold. A throw-blanket is also used to protect the body from the cold. So, how are they different? Simply, a blanket is a sleeping tool. It covers the entire body. The primary objective is to provide its users sleep, undisturbed by the cold. A throw-blanket is not a sleeping tool and only covers parts of the body. The throw-blanket protects the user from the cold while he/she is continuing an activity such as using a computer, watching tv or talking to friends at a cafe. A blanket is a personal private item. One which is generally limited to use at home. A throw-blanket can be a public item, used in the home or out in public. A very important purchasing point to consider is the material of the throw-blanket. There are many different types available on the market today. If your purpose is to protect yourself from feeling cold, it is said the following materials are suitable in retaining heat: wool, acrylic, polyester. However, if you would like a throw-blanket which can be used in warmer temperatures or for babies, cotton or linen is recommended. Let us look closely at the different materials and explore the pros and cons of each type! Often used in blankets, sweaters and winter related items is the fur of a sheep (wool). The wool of the Australian, New Zealand and France Merino sheep are particularly famous. Acrylic is a synthetic fabric made from polyacrylonitrile. Among the synthetic fibers, acrylic is the most similar in texture as sheep wool. Acrylic is used in many sweaters, scarves, and other winter-related items. Polyester is the easiest material to handle among the synthetic materials. Therefore, polyester or its blends is used in many products such as fleece materials. Cotton is used in products which need to absorb water such as towels and T-shirts. Organic cotton is especially popular among people who want to use products made with safe ingredients. 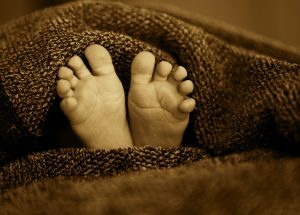 They are often used in baby-related items, baby blankets and baby towels to name a few. 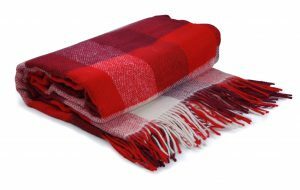 Usually, a throw-blanket is half the size of a normal blanket at about 100 cm x 140 cm. This size is recommended for people who use the throw-blanket outside the house, like in the car or at work. However, if you plan to use your throw-blanket at home, it is recommended to have a larger size. At home, you may be lounging on the sofa, stretching out your legs. 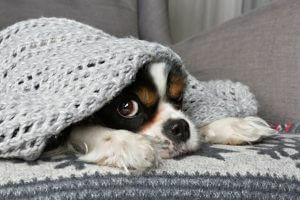 In this case, a larger sized throw-blanket, similar to a blanket size, is better to cover yourself from the waist down. Consider the location and purpose of using the throw-blanket in relation to the size (big or half size) as a purchasing point. Now that we have determined the purchasing points, it is time to look to see which throw-blankets are popular online. Though we’ve ranked products according to its features, quality, popularity and etc., please keep in mind your purpose, your priority before purchasing. Though admittedly expensive, this luxury plush blanket is soft, wrinkle-free, durable and lightweight. 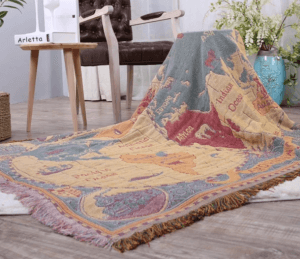 Being lightweight, the user can use this throw-blanket inside or outside the home. And in case of spills, do not worry, as the throw-blanket can be machine washed (in cold water on the gentle cycle). 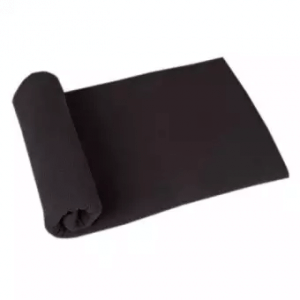 This microfiber throw-blanket can be used by many types of people. Available in different colors, purchasers can be young, old, married, working, it does not matter. However, with the high price tag, unfortunately, there are other more reasonably priced throw-blankets in the market. Not a traditional throw-blanket, this throw-blanket can be used either as a pillow or a throw-blanket. Coming in a case similar to a pillowcase, the throw-blanket is folded into a pillow while carried. However, to use as a throw-blanket, the throw-blanket must come out of its case. So, the user needs to choose which is more important: resting the neck or warming the body. 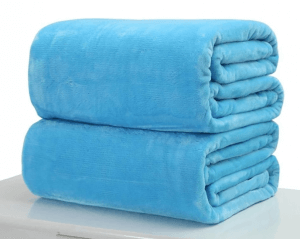 This cotton blanket is recommended for those who like to travel. Though it can be used at home, with its travel case, it screams outside use. Our recommendations are for car trips, on the airplane and more! This cotton jacquard woven tapestry throw-blanket is not only ultra-soft and durable but looks good as well. The calm colors will add ambiance to any room, making this item both a decorative piece as well as a functional item. And did we mention it is made from 100% natural fabric? This item is recommended as a gift piece. With the materials being so gentle, a baby present or even a housewarming gift comes to mind. 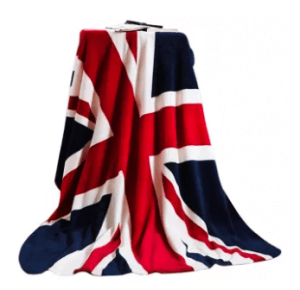 And if the purchaser themselves have recently had a child or settled into a new house, this fabulous throw-blanket can be a present for themselves. 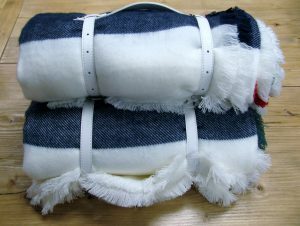 Not a traditional throw-blanket, this throw-blanket protects its users from the cold and has a separate pillow to rest the neck. The throw-blanket, at 101 cm x 177 cm, is a larger sized throw-blanket. Not as big as a regular blanket, but big enough to cover your body during travel. And the pillow has arm holes, keeping the hands warm as well! This Travel Pillow-Blanket set is recommended for frequent flyers. The pillow is of no use at home, café, or office, but is great for the airplane or sleeping in the back seat of the car. Parents with little children will find this item useful for their children during travel. Available in an array of colors, this 160 cm x 190 cm is on the bigger size. 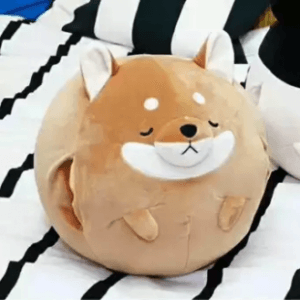 However, it is a good size for home use, while lounging on the sofa, reading a book or watching tv. As the material is fleece, the fabric has great heat retention abilities as well as is soft to touch. And the price is quite reasonable as well! Recommended for people who are busy. The soft feel of the fleece will enable your body to rest comfortably within a short period of time. And being fleece, the aftercare is not difficult if you spill coffee, etc, while lounging. This chunky acrylic knitted throw-blanket is perfect for inside the home and out. With a size of 80 cm x 100 cm, it is small enough to carry around for outside use as well as use at home, on the sofa. 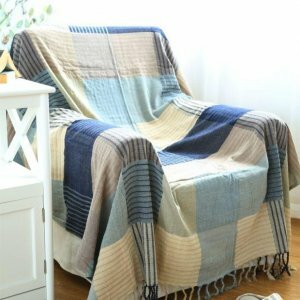 Though the look is handmade, the throw-blanket can be machine washed (in cold water), so the after-care is not difficult. This product is not recommended for people who have cats, as your cat will mistake the throw-blanket for a ball of yarn and tear it apart. But for children, this is perfect. Though half-blanket sized, it is large enough for children to snuggle under it in the back seat of the car for a quick nap. This cotton throw-blanket, with wool balls as a trim, is a unique, elegant item. Lightweight and portable, purchasers will be happy to note, this item is easy to wash if something is spilled. The size of 100 cm x 150 cm is on the larger side, but with the main material being cotton, it is light enough to carry around. This item is recommended for people who are fashionable. While most throw-blankets are made of fleece or have string fringes, the wool balls add fun and style compared to the ordinary throw-blanket. Though the balls are fun, children should not use this throw-blanket, lest they tear the balls off. Recommended for stylish women AWAY from their children. This very reasonably priced throw-blanket made from a chenille (yarn) fabric is warm and pleasant to the skin. Similar to wool in its heat retention functions, chenille fabric is more breathable and easy to wash. Eco-friendly and reversible as well, this blanket is great for the environment and a busy house! The throw-blanket of 215 cm x 235 cm is on the larger size and would be great to use at home. Especially recommended for parents of small children. The whole family can snuggle under this chenille throw-blanket, talking, watching tv, enjoying their time together! 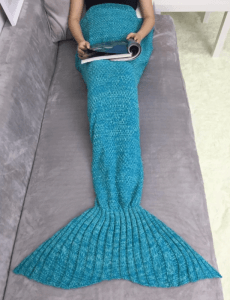 This super girly mermaid tail throw-blanket is perfect for days in and stay-cations. The throw-blanket is acrylic, which means it is easy to wash and bounces into shape. However, for the first wash it is recommended it be washed alone and for future washings, it not be washed with zippered items as the zipper may snag the cool homemade-like knitting. This throw-blanket is obviously recommended for females, age is not important. Disney-fans, grown women who want to escape would be wise to purchase or receive this item as a gift. Once women enter the tail-shaped case, they can forget their troubles on land and drift off into the sea. This is a traditional throw-blanket in warm fleece, available in many colors. Fleece is perfect for retaining body heat, allowing people who feel cold to retain their warmth. And the size of 100 cm x 70 cm is perfect to use at home, on the sofa, or carry it out to the office or café. The price, after-care instructions are reasonable as well. 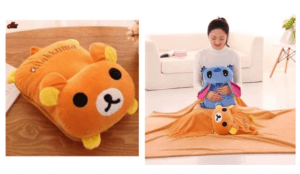 Recommended for anyone who is looking for a throw-blanket, this OEM Plush Fleece Blanket Sofa Throw will fulfill most, if not all, for throw-blanket needs. As we explored the world of throw-blankets, we can see there are many fabrics, sizes, patterns, and functions. There are throw-blankets which can transform into pillows. And then are those with elegant designs. Hopefully, this guide was able to help you learn more about the materials, sizes, etc., as well as the products currently available. We hope you all the best in your purpose to purchase the throw-blanket perfect for you!! Good luck.